Gun violence in the Twin Cities has left more than a dozen people injured and two dead over the last week. And there's widespread concern about an increase in fatal shootings in cities across the country. 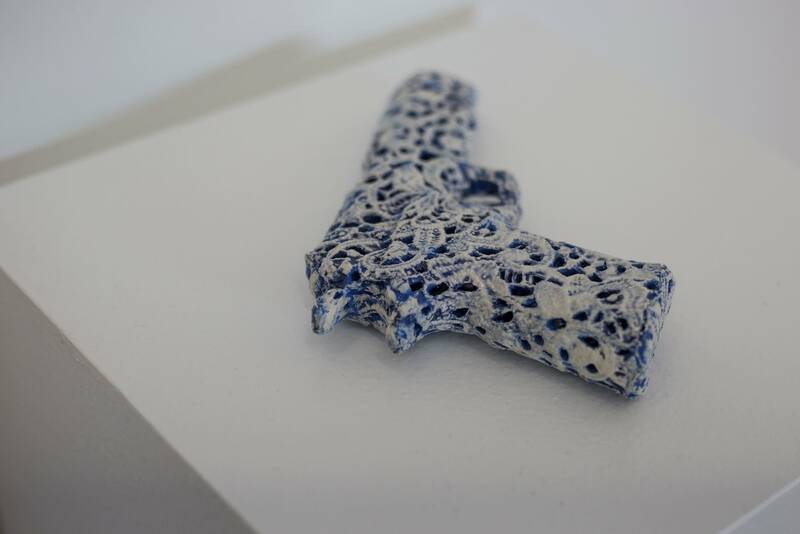 An art exhibit up now in Minneapolis aims to explore gun culture, and examine the impact that shootings that kill or injure people have on the community. The raw materials in this art project date back to last August. That's when the city of Minneapolis hosted a gun buyback, with the support of nonprofit Pillsbury Community United, the mayor's office and Minneapolis police. About 250 guns were turned in, no questions asked. But instead of simply destroying the weapons, Minneapolis police took them apart or sliced them into pieces so they were no longer functional. Then they turned the pieces of the handguns, rifles and shotguns over to a group of artists. 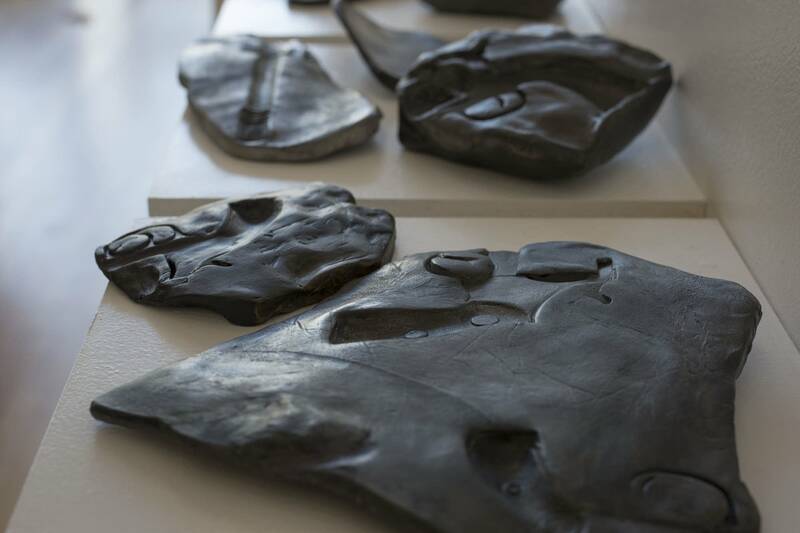 Artist and organizer Nikki McComb sifted through the boxes of firearms pieces and took out all the jagged shards before distributing them for artists to use in their pieces. McComb said even the broken-up weapons still held a sort of power, something she especially noticed as she drove around with the pieces on the passenger seat of her car. "In my mind, I know they're broken down, but I could have been pulled over at any time, and law enforcement could have seen a barrel of a shotgun and who knows what would have happened?" McComb said. "It's surreal being a person who doesn't handle guns or own guns and you're walking around town with guns." 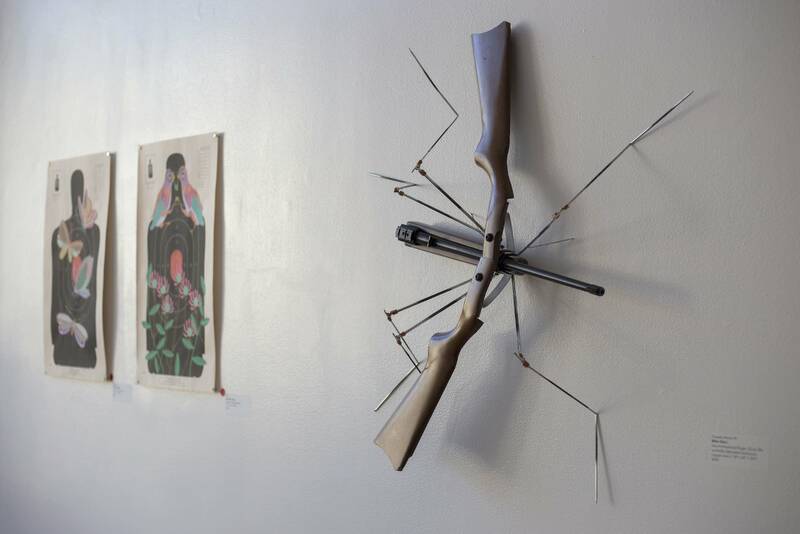 Artists took the pieces of the firearms and fashioned them into everything from sculptures of giant insects with legs made of bullets to landscapes of trees and lakes printed with rifle parts. Walking around the Gamut Gallery in Minneapolis, McComb points to a work that looks like a book on a pedestal. There are hundreds of little color headshots on one side of the page and names on the flipside. Two handguns that have been stripped of their barrels are at the center of the book. "It's like an accordion. You know how you go to a wedding and you get a guestbook and sign it?" McComb said. "This is the guest book of lives lost to guns. Whether it's a homicide or a suicide or an accidental death or a murder. And 75 percent of the names on this accordion are under the age of 18." 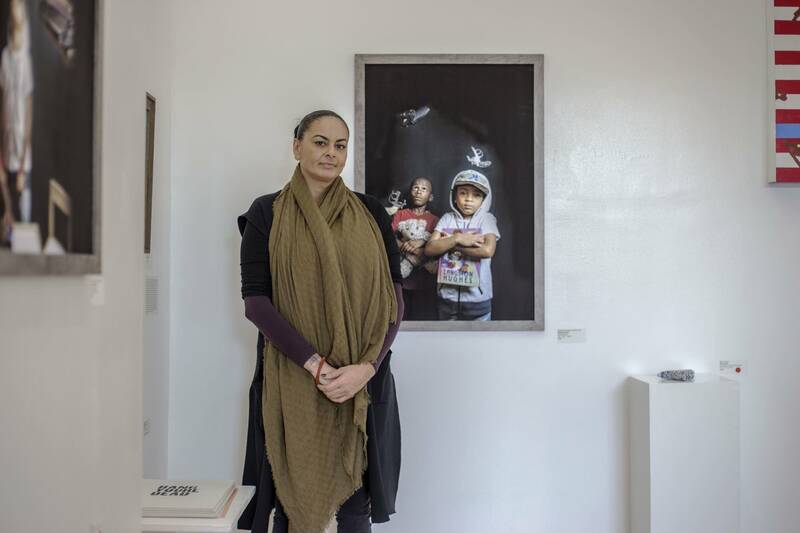 Since the exhibit has been up, Gamut Gallery co-owner Jade Patrick said visitors have been coming in to share their own brushes with gun violence. "As hard as this content is, engaging it in this way has been really healing for most people who've walked in the door," Patrick said. "Somebody spoke to knowing the victims but also knowing the perpetrator, and going on with life and what it's like after that." The art has even helped Patrick to talk with her two young sons about what to do if they find a gun or see one at school. "My kids for instance, have never seen any pieces of guns until they walked into this show," Patrick said. "I wasn't really ready to have that conversation, or didn't think that necessarily it would be time, and it provided a good opportunity actually." The Minneapolis exhibit is based on a project that New Orleans artist Jonathan Ferrara helped put together in the mid-1990s after a surge of fatal shootings in the city. "It's an idea about creating a conversation, using art to stimulate emotion, to get people to react and think, and formulate an opinion about this issue that's affecting our country, and cities across the country," Ferrara said. The exhibit inspired by that first New Orleans project toured to other cities, but Ferrara said Minneapolis has really become the blueprint for how cities can make the project their own. The mayor, police, artists and nonprofits all pitched in and helped move forward the discussion around the issue of gun violence. "This is artwork directly commenting on the issue, but from a different perspective, it's not this for or against," Ferrara said. "There's some kind of common sense to the language of art." Even as the project adds to discussions, Ferrara sees an immediate impact in how it reduces the number of guns that could cause injury or death. "If we're taking 200 guns off the streets, that's 200 less guns in homes, somehow, someway, we are reducing this risk," Ferrara said. "But if we save just one life, we save just one child's life, then haven't we done something positive?" Some studies question whether gun buybacks are the most effective way to reduce gun violence. But the University of Minnesota's Marizen Ramirez, an associate professor in the School of Public Health, said programs that engage the community have been shown to be some of the most effective ways to reduce gun violence. "If you've got policies, that's fine, but if we include the community in engaging, in support, in creating a culture of safety," Ramirez said, "those have been the most effective means, the most promising interventions."" 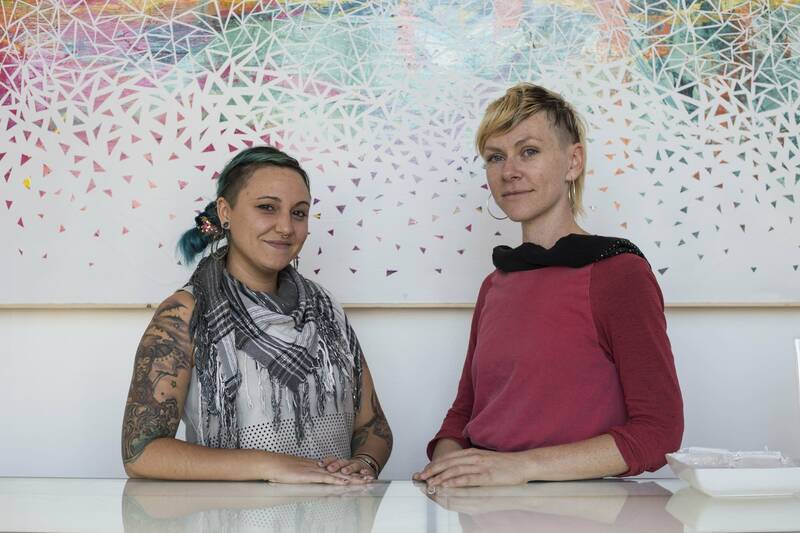 The exhibit Art Is My Weapon closes Friday with an artists' talk and panel discussion.